A denture is a restorative dental treatment that is a removable dental device used to replace missing teeth. If you are missing all or a large number of your teeth, it will affect both the function and look of your mouth. Eating will become extremely difficult. You will have to choose what you eat based on your ability to chew and break down the food. Additionally, harder foods will irritate or even damage your gums. However, other functions of the mouth are affected by missing teeth. Your jaw can sink or become misaligned, causing discomfort or pain. Many of these conditions are also noticeable, regardless of whether your mouth is open or shut. Then there is the appearance of your smile to consider. One or two teeth missing, depending on where they are, may not affect how others see your smile. An entire set of missing teeth, however, will not go unnoticed. With dentures, you will regain the ability to eat the foods that you love. Dentures will also restore the structure of your mouth, which will result in better support for your jaws. Aesthetically, dentures will allow you to smile with renewed confidence. With the advancements in fixing gels, there is minimal risk of dentures coming loose when you speak or eat. When all the teeth are missing, you will need a full denture. For multiple teeth where a bridge or crowns are not an option, a partial denture is used to replace the missing teeth. A partial denture is used in any instance where there are natural teeth remaining. 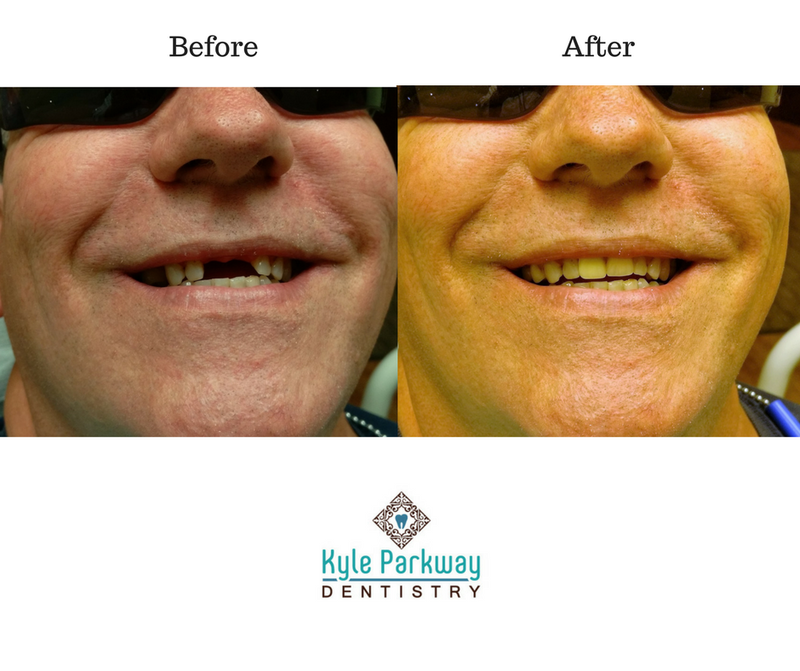 To restore the function and beauty of your smile, take the first steps and contact Kyle Parkway Dentistry to schedule an assessment with us. We have a team of understanding professionals in dentistry waiting to cater to your needs. Once your new dentures are fitted, you will be glad you made the call.